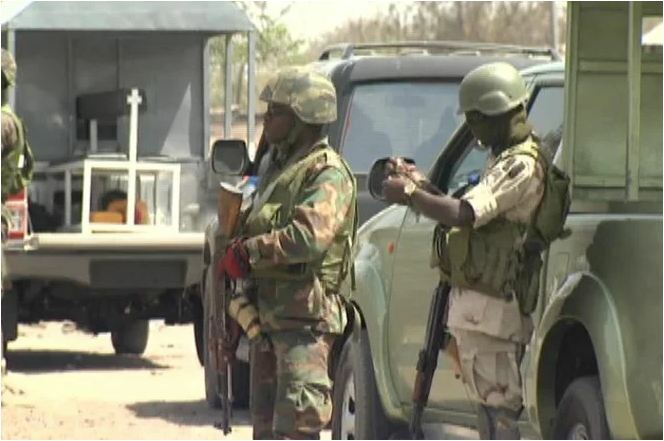 There was confusion along Ada George Road in Port Harcourt, the Rivers state capital, on Thursday morning, as soldiers took over the Rumukpakani Police station, reportedly in response to the killing of their colleague by a policeman. According to report, a group of angry soldiers stormed the Police station and arrested the Divisional Police Officer, DPO. The murdered soldier, said to be on mufti, was reportedly shot near the Police station by one of the policemen on duty.